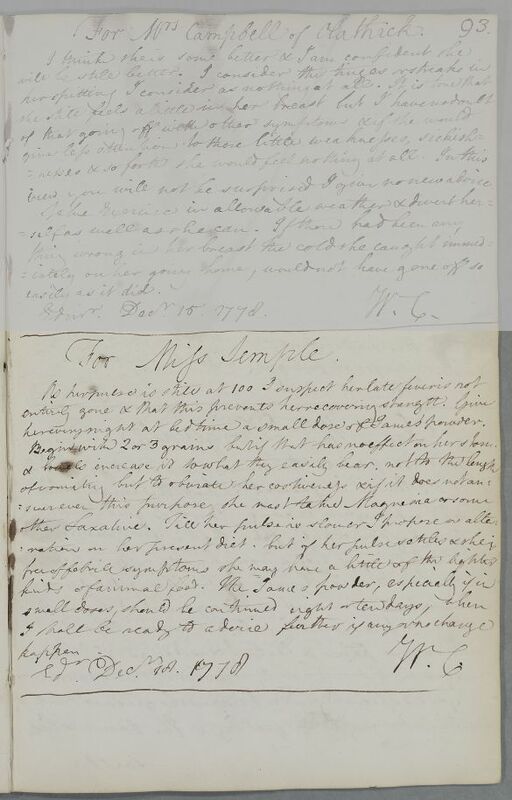 Case of Miss Semple (Simple), a teenage girl who suffers from excess salivation and loss of appetite attributed to having had smallpox. her every night at bed time a small dose of James' powder. Begin with 2 or 3 grains but if that has no effect on her stom.